Have you been in a road accident? Are you struggling to make your claim? Do you think your insurer has overruled your claim? Did you file your case in the correct order? If these are the questions you are seeking answers to, you have landed on the correct page. According to the leading insurance companies, there are a few prerequisites that need to be fulfilled before making a claim. Typically, it’s pretty hard to fulfill all of them. But, luckily, there are a few guidelines that can make your task a little easier. The very first step after an accident is to make sure that nobody is injured. Check yourself, your co-passengers, passengers in the other vehicles, and the bystanders for injuries. Life is above everything. Call 911 to explain the situation. Wait for help. Leaving anybody injured on the site can bring you unprecedented troubles. It is best to make sure that the injured receives the care they need. 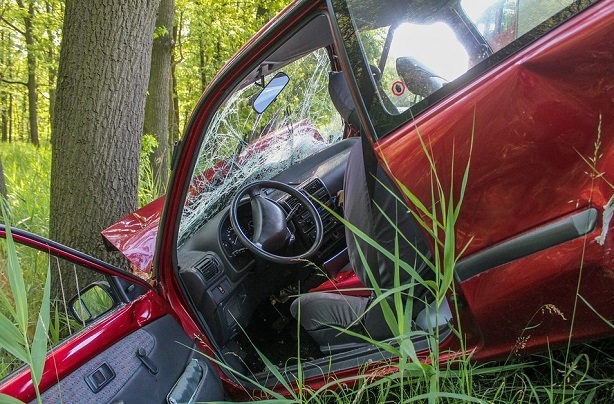 There are numerous possibilities that an accident can get worse after the first collision. There could be collisions with other passing vehicles. There can be a fire, and subsequently an explosion in the vehicle. There are infinite possibilities that a small collision may turn fatal. Drive your car slowly out of the driveway. Roadside could be a safe place or a secluded part of the road that is not in use by the general traffic. The next thing to do would definitely be informing the authorities. You should call the police and tell them what happened. Make sure that the officer files your report. This report would prove to be crucial while making your claim. Explain the details like time, action, and resulting injuries that anyone has sustained. Having said that you should make sure that you are not accusing anyone. Rather than making accusations, you should limit your report to the facts only. Even if you are not responsible for the accident, you should still file the report. Another important thing that you must keep in mind is not to run away from the site after the accident. This may call in for a hit and run suit against you and you probably would stand a bleak chance at dodging the charges. Once you are done with filing the report and documenting the accident, you need to complete the necessary paperwork. You must be wondering what sort of paperwork you need to complete? There are piles of documents for the insurance company and the court (if you wish to file a lawsuit) that you need to file. These may include summons, declarations, contractual documents, etc. Filing documents can be confusing and tiring. You can consult a lawyer for clarity. Anyhow, this will answer your question and clear any doubts. There could be instances that the other party may not have motor insurance, or your own insurance company may deny you appropriate compensation. In such a case, filing these documents and keeping a track of the accident can prove to be helpful. You should take note of the damages, keep your medical bills safe, and take the details of the other person involved in the accident. Once, you are done with all the paperwork. It’s time to make your claim. The insurance company may require the proof of losses and sufferings that you have undergone. These proofs help make your case strong and fetch you just compensation for your suffering and loss. Apart from these, the compensation you receive may depend on other factors, such as the type of insurance, the premium, the loss, medical expenses, and not to forget the type of accident. Depending upon their policy, the insurance company may compensate for your repairs and treatment either from their authorized vendors or a vendor of your own choice. Having said that, having an attorney by your side can ease this task manifolds. They can help you build your case, find witnesses, investigate, and collect proofs regarding the accident. Being in an accident that is not your fault could really be a bad state to be in. Roads are meant to ease life and they should be used responsibly. Although accidents can happen anytime and anywhere with anybody, following the road safety rules can ensure that these accidents are minimal. Always wear your seatbelt while driving and follow the road signs to stay out of danger. We all know, precaution is better than cure.